O+ USA and Maine Mendoza Thank Supporters For Buying O+ Ultra, Which is Now Sold-Out! More Units Arriving Soon! 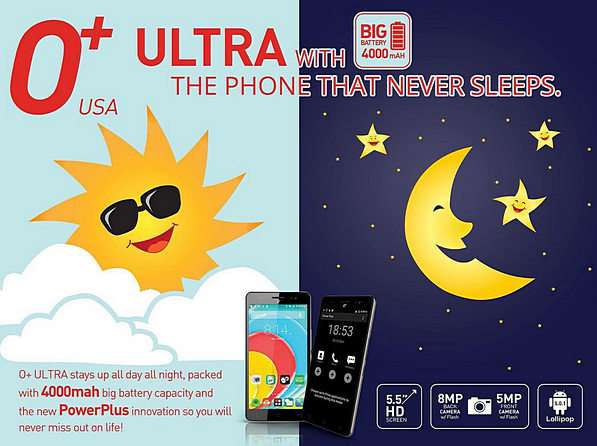 "Due to insistent public demand, we are proud to announce that O+ Ultra is now out-of-stock! Thank you for all the support!" That's YayaDub Maine Mendoza of Eat Bulaga AlDub KalyeSerye fame holding both her O+ Ultra and a 'Thank You All' handwritten message for all of her fans and supporters. Last September 26, 2015, O+ USA's television commercial for the O+ Ultra featuring Maine Mendoza was first shown in Eat Bulaga and since then, the campaign has greatly helped the company to sell thousands upon thousands of units of the said Android smartphone model. 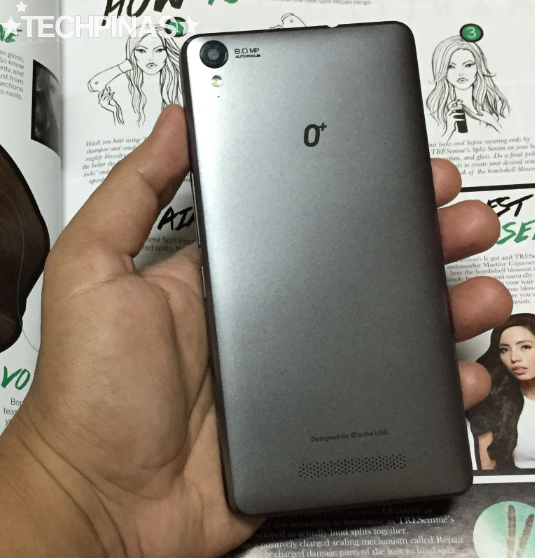 If it's your first time to see it, O+ Ultra is the company's 2015 midrange powerhouse release having several main selling points that make it a compelling purchase at only Php 7,395. 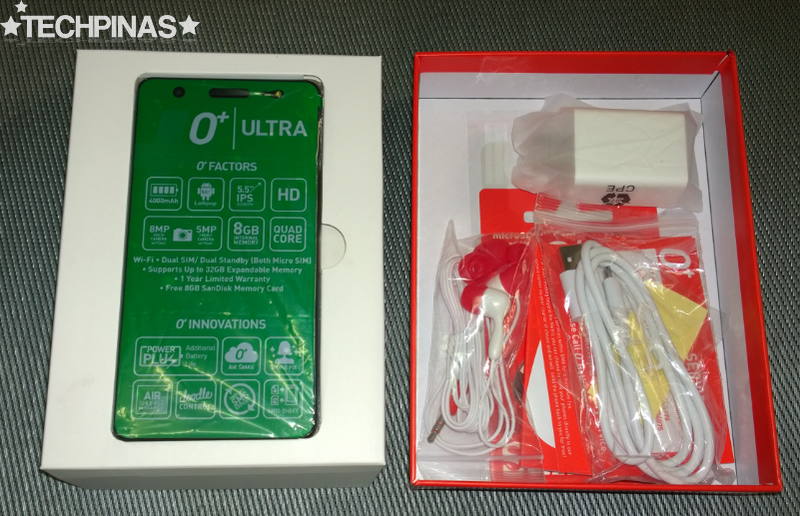 As I've shared previously, O+ Ultra is a Quad Core 5.5-inch phablet that doesn't only run the latest version of Android operating system - which is Android 5.0 Lollipop - but also has a 5 MegaPixel front cam with soft LED flash and an extra-large 4,000 mAh battery life, guaranteeing extended uptime. 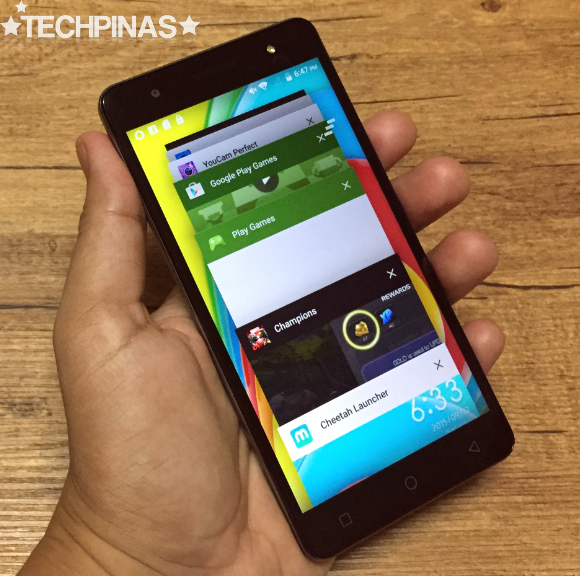 I believe it's a perfect phone for students and yuppies who want to experience the latest version of Google's mobile operating system on a phone that lets them take good selfies and doesn't run out of battery in the middle of the day. Echoing myself, There are eight things about O+ Ultra that I particularly like -- and I'm sure that you will too. Let's go through them one by one. 1. Extra-Large Display - O+ Ultra sports a massive 5.5-inch HD IPS display panel that puts it well within phablet category. This big screen doesn't only let the user have a more enjoy content - like movies, photos, e-books, and websites - better but also lets you thumb-type faster on the device. 2. Extra-Large Battery - One of the biggest points for improvement of Android smartphones - from the very beginning - is short uptime. And what's great about O+ Ultra is that, unlike most of its competitors in its price category, it doesn't suffer from that issue -- thanks to its big 4,000 mAh capacity battery pack. That's two times the size of what's on other sub Php 10,000 handsets these days -- and it guarantees at least two days of uptime with regular use. If you leave your house with your O+ Ultra on a full charge, you won't have to plug it in your office at lunchtime just to make sure that it will still have power on your way home in the evening. 3. Good Imaging Capabilities - O+ Ultra is a great cameraphone. Its 8 MegaPixel autofocus camera delivers bright, brilliant, and crisp photos whether with just enough indoor lighting or with lots of natural light outdoor. I particularly loving taking food shots using my O+ Ultra. 4. Android Lollipop, Right Out Of The Box! Enjoy the benefits of the latest version of Android that's available to consumers on the O+ Ultra. Get a more secure mobile experience while navigating the neat and sleek Material Design interface. 5. Take Clear and Brilliant Selfies Anytime You Want - If - like me - you love to take selfies, then you'll surely fall in love with the O+ Ultra's 5 MegaPixel front-facing camera with Soft LED flash that lets you take self-portraits regardless of the lighting condition. O+'s Selfie Fix innovation, which instantly enhances the quality of your selfies for instant sharing on Facebook or Instagram, already works well. But if you want to make the most of O+ Ultra's front cam, I would suggest that you use Youcam Perfect for even better looking photos. 6. 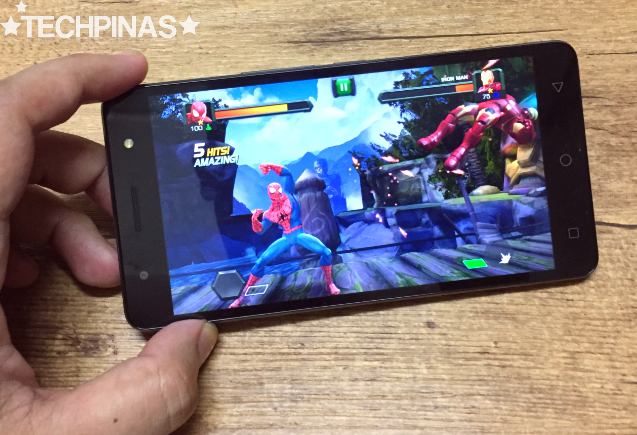 Decent Gaming Performance - This midrange handset is powered by a 1.3 GHz Quad Core ARM Cortex A7 cores and a Mali-400 GPU based MediaTek MT6582 chipset (complemented by 1GB of RAM for multitasking) that's certainly capable of running 3D graphics-intensive games that you can download from the Google Play Store. My favorite title right now is Marvel Contest of Champions and my O+ Ultra runs it flawlessly. 7. No-non-sense Design and Solid Construction - If there's anything I know for sure about O+ USA by now it is that the company makes well-crafted, durable smartphones. And the O+ Ultra is certainly no exception to that. This one's built like a tank. And if you don't like seeing unnecessary design accents or embellishments on your daily phone, you'll definitely find this phone - with its clean lines - very attractive. 8. O+ Innovations - O+ Ultra comes with all the cool and unique software features created by O+ USA to give consumers a more intuitive and enjoyable mobile experience. There's the popular Air Shuffle that lets you take photos and jump from one music to the next simply by waving your hand in front of the phone's proximity sensor. And my favorite currently is Doodle Control that allows the user to launch applications just by drawing letters on the display in sleep mode, without having to turn it on. Interested to buy this cool smartphone? Currently, all stocks are sold-out. But Team O+ USA has made a promise on their social networking accounts that more units are arriving this week! Visit an O+ USA Concept Store, Kiosk, or an Authorized Retail Outlet if you want to give O+ Ultra a test run; They always have working demo units that you can play with.